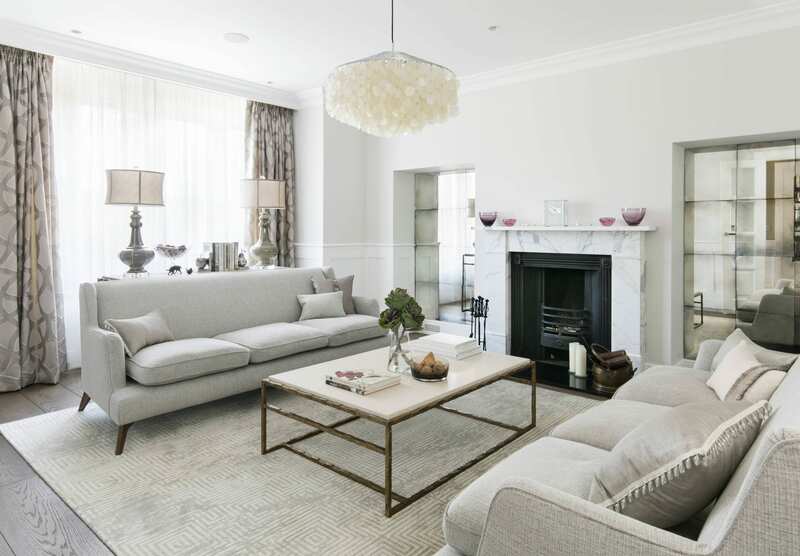 This was a full interior design and refurbishment project, where we provided full service including project management and production and the supply of the furniture for this 5-bedroom, 5-bathroom Edwardian house. We were responsible for rearranging kitchen, dining areas and laundry. 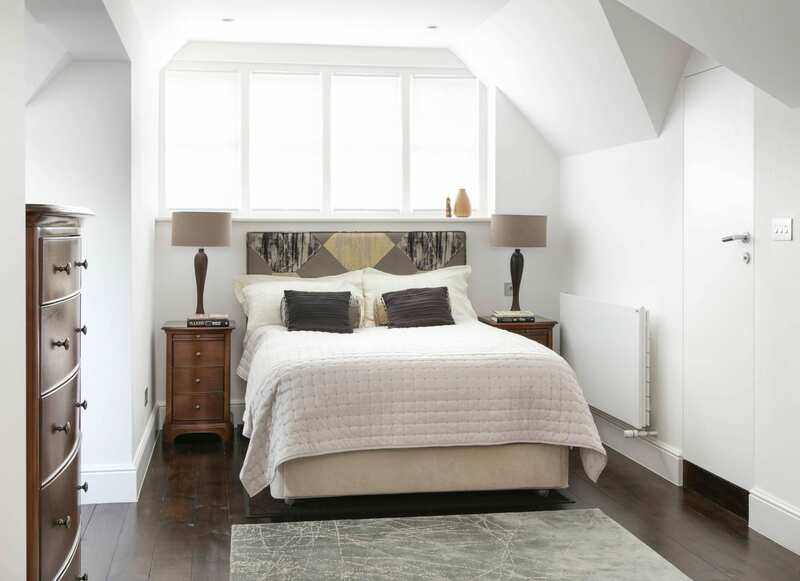 Creating rest room and en-suite shower rooms for guest bedrooms, master bedroom with walking wardrobe and master en-suite as well as loft space with office and shower room. 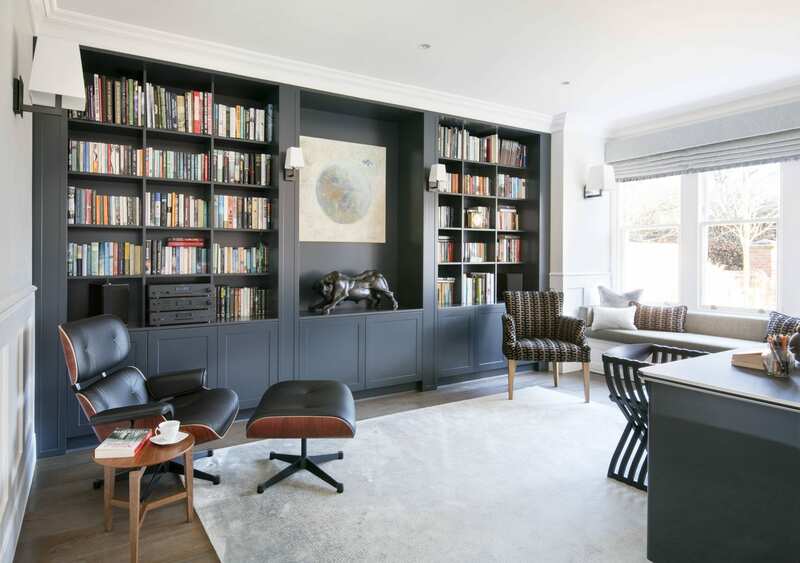 The grand library room features a contemporary shaker style bookcase made to size. 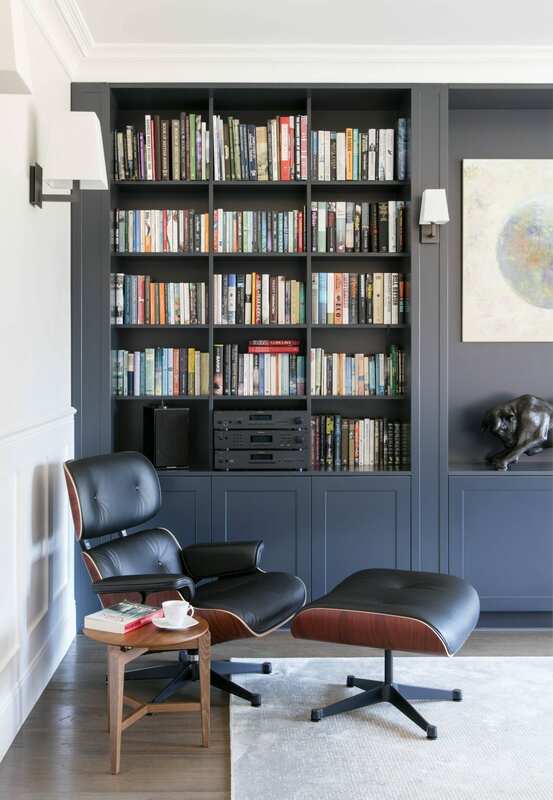 Bold colour allows the colorful book collection to stand out as a main feature. 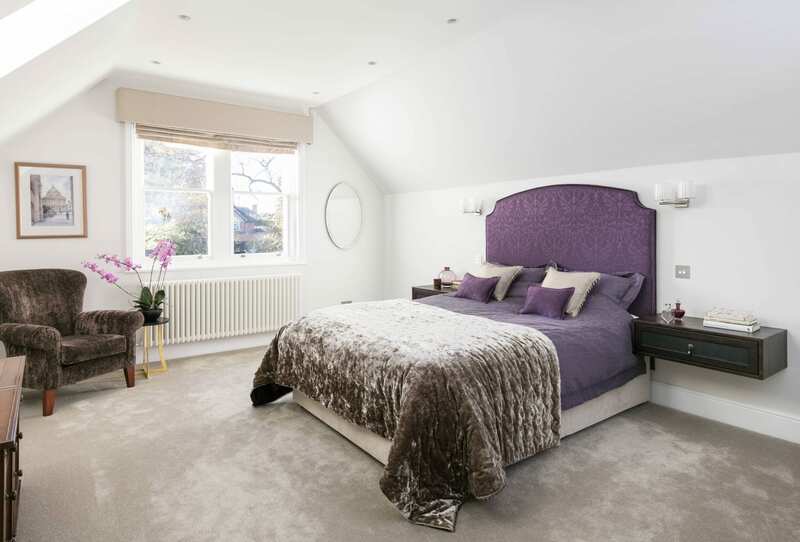 Large silk rug adds warmth to the space and comfortable bespoke window seat provides comfort and style. 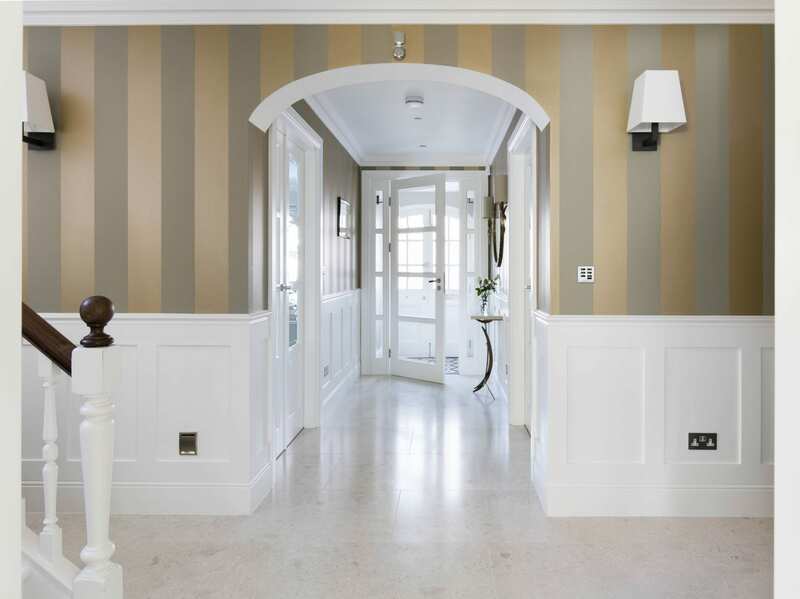 Bold wallpaper by Rue Montogueil adds elegance to the hallway to match the style of the house. 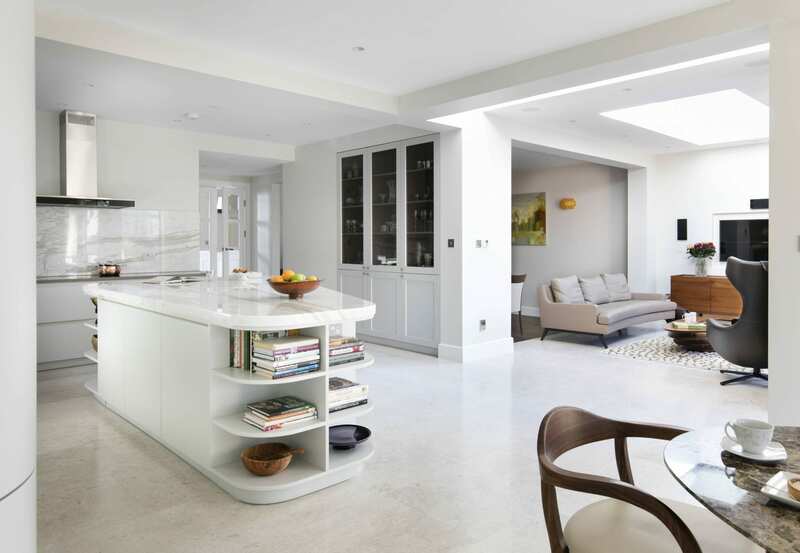 Piccadilly Limestone is used on the floor for a timeless, classic look. 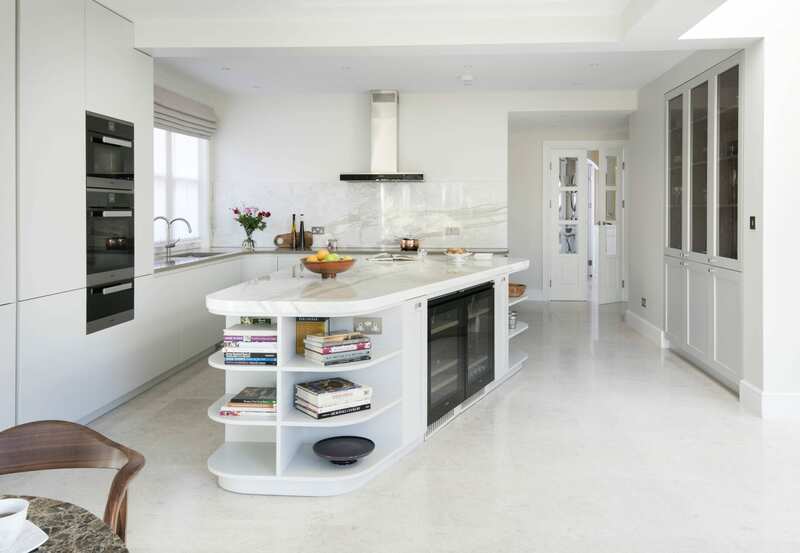 Estatuario Marble was sourced directly from Italy and cut into a bespoke shape to fit the large multi-functioning kitchen island. 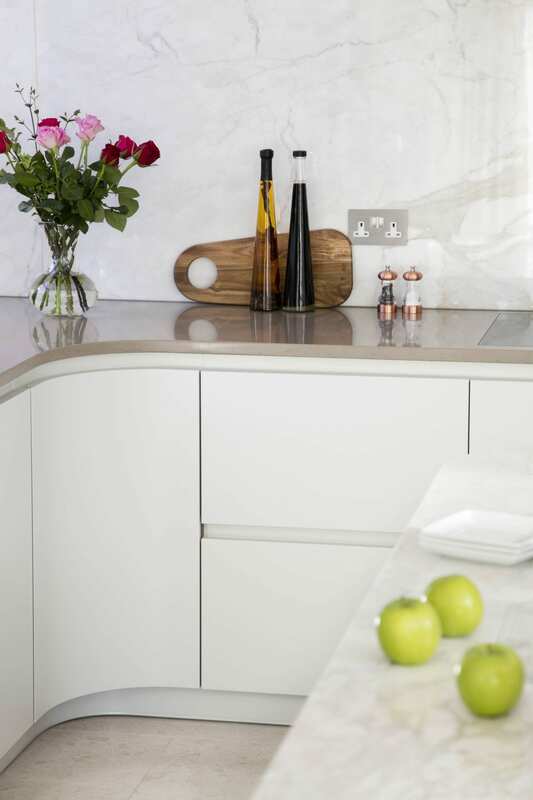 The bespoke cabinetry incorporates a curved edge to match the worktop and create a free flow. 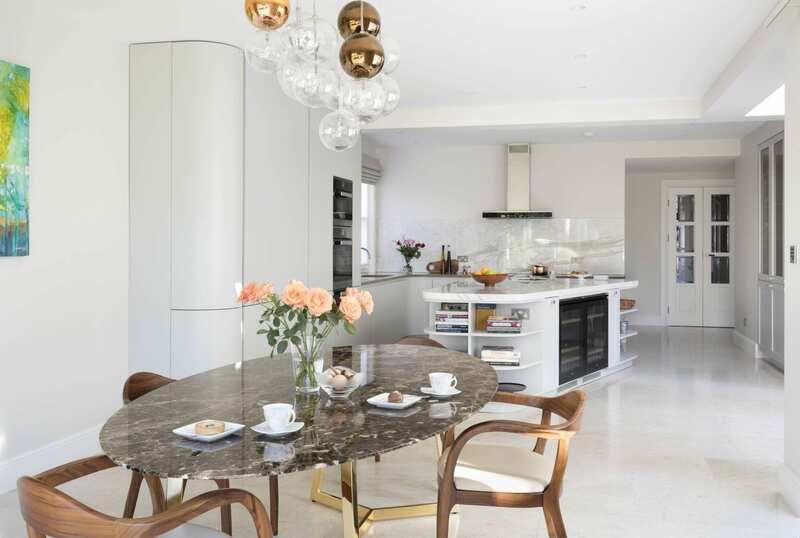 A composite stone worktop is used for the surrounding worktops, a nice way to break up the fluid use of Estatuario marble used for the splash-back and island worktop. 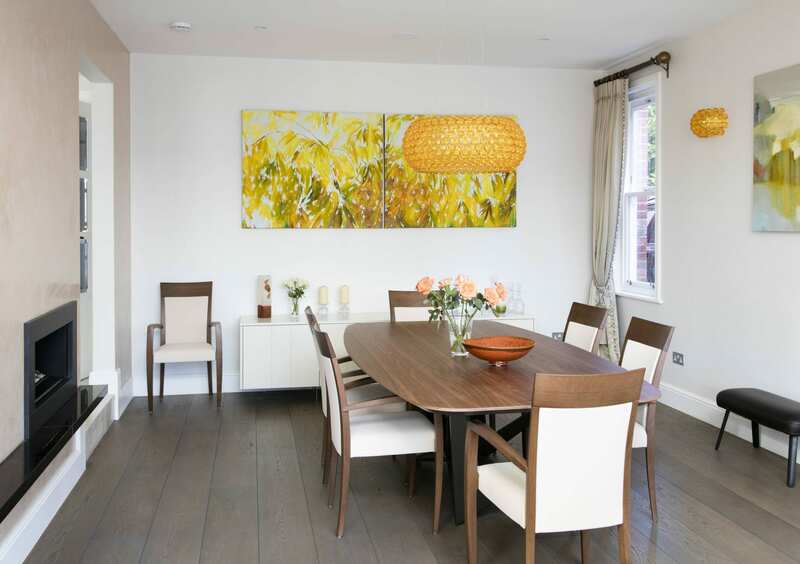 As soon as you enter the living room you are met with a warm and golden colour palette. 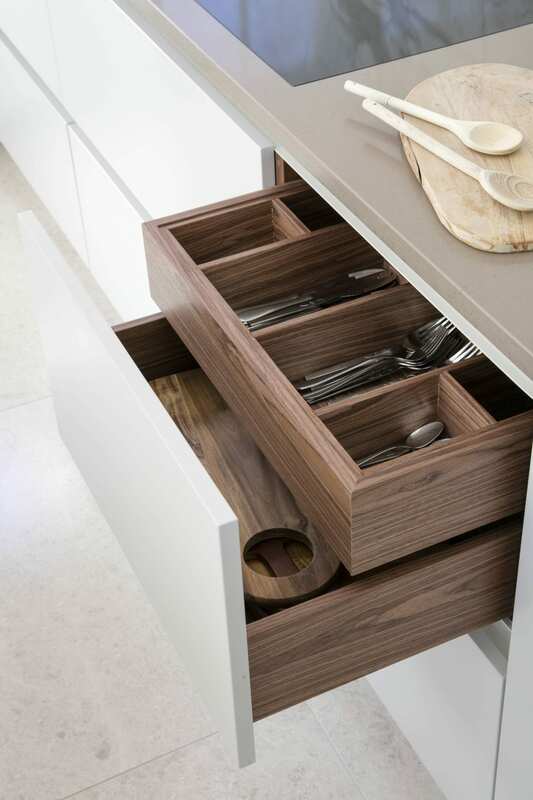 The bespoke storage unit allows for additional storage space and more entertainment space. 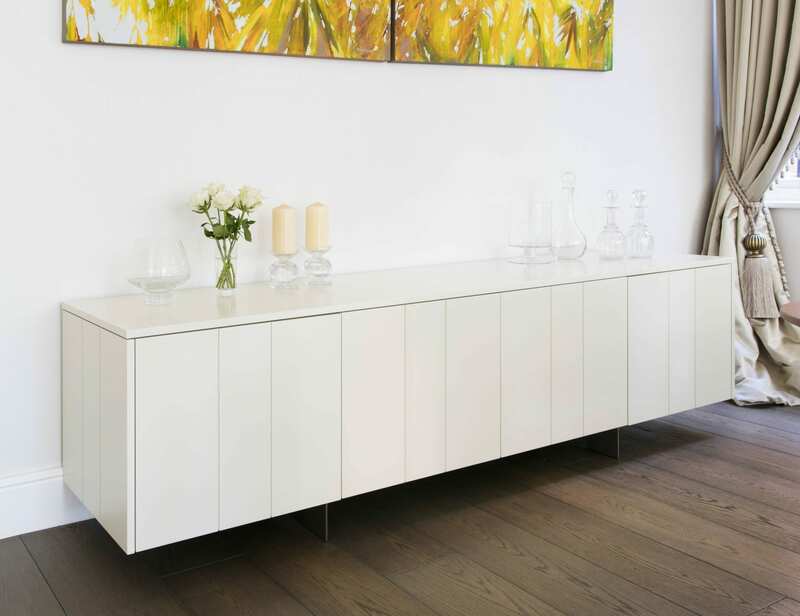 We designed, supplied and installed the bespoke storage unit for this bright family dining room. Leading off the kitchen is a small, bright living space that leads onto the dining room, with direct access to the garden. 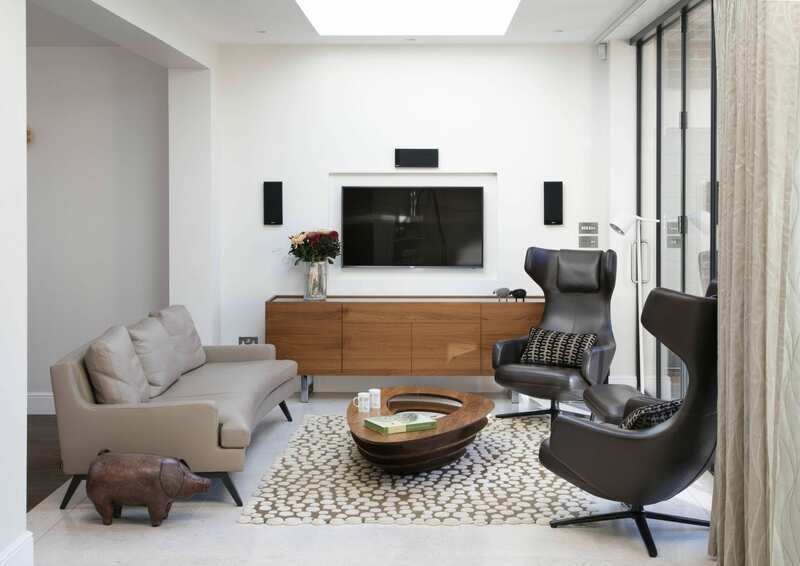 We created a recess to house the TV and sourced additional furniture to match our clients existing furniture. 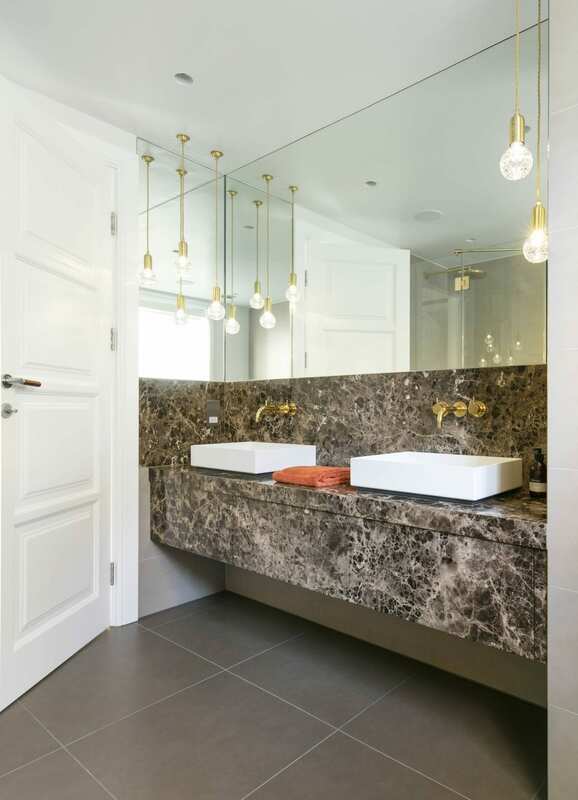 In the main bathroom, we used marron emperor marble for the vanity top and fronts cladding and added a touch of glam with crystal bulb pendants. Large mirror enhanced the luxurious feel. 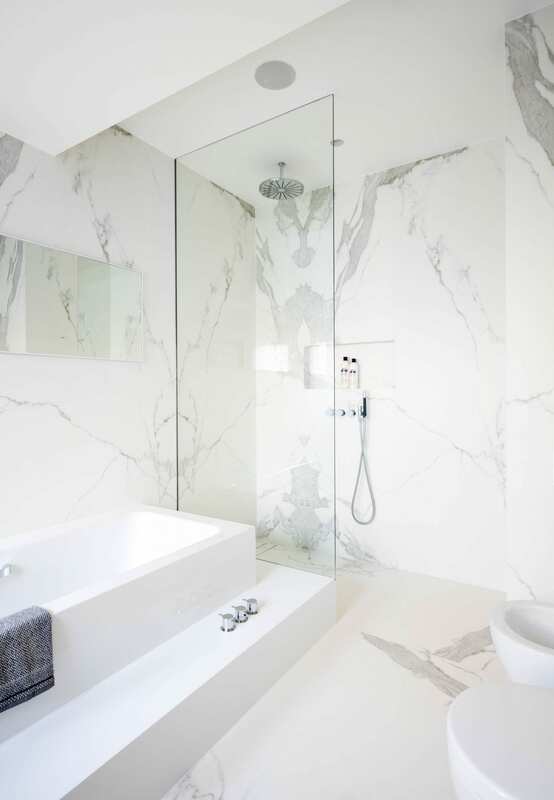 Brass taps, and a marble bath surround achieves a bold luxury statement. 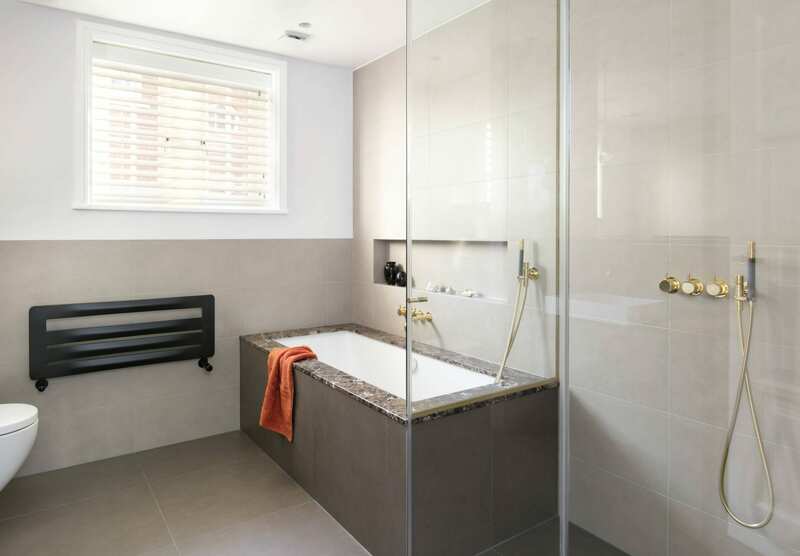 Wall mounted taps and a hand held shower helped to achieve a clean and tidy feel. 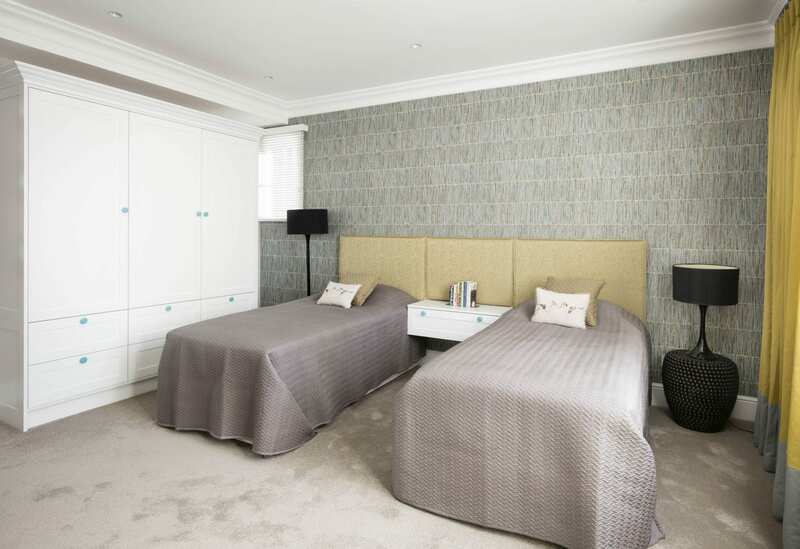 The master bedroom comes complete with a walk-in wardrobe and en-suite bathroom, offering ultimate comfort and intimacy. 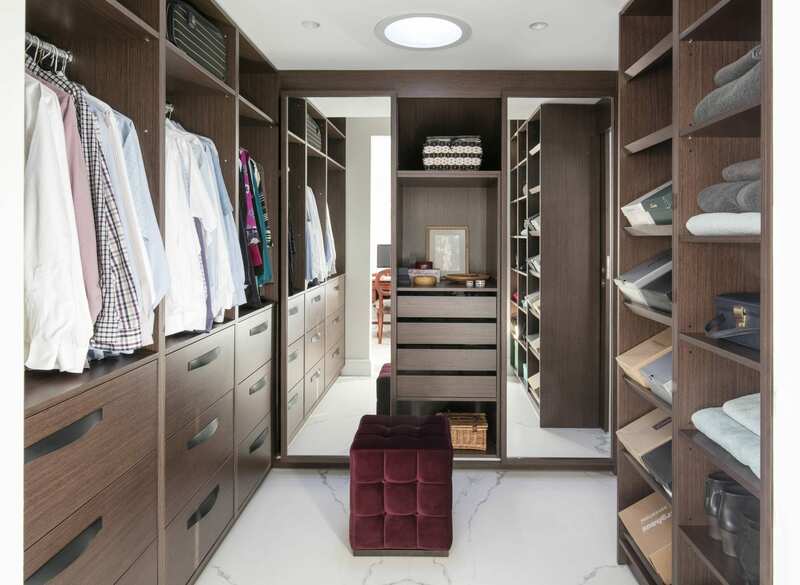 Walking through wardrobe between the master bedroom and master en-suite created stylish and practical finishing touch to the master bedroom. The master en-suite bathroom benefits from both a large bath, walk-in shower and a large vanity unit. 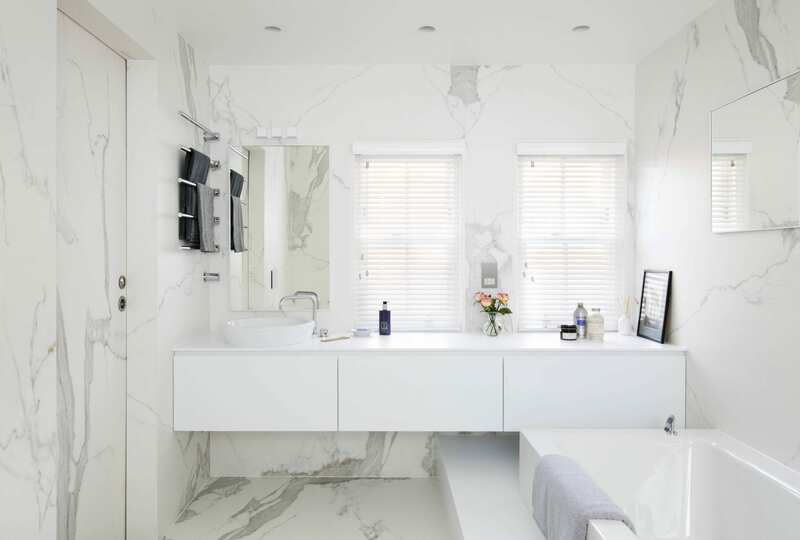 Estatuario porcelain large tiles 3mx1.5m were used to clad both on the walls and the floor, generous sized walk-in shower, creating a luxury statement. We opened the ceiling in one of the bedrooms, revealing original beams. They were restored and left exposed, and is now a great addition to the room. Combination of different materials and colours embraced the space and created luxurious feel. 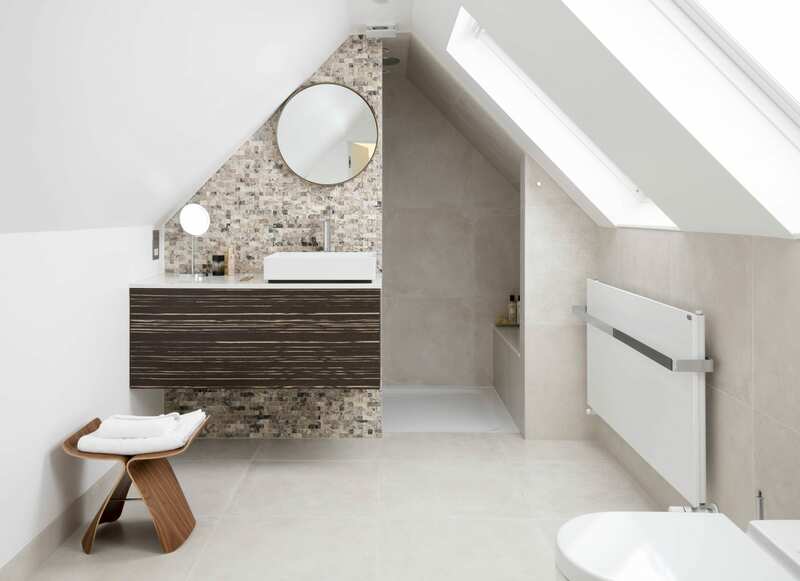 The en-suite shower room uses the space well, incorporating sufficient storage, maintaining a calm, spa like feel with the use of neutral tones. 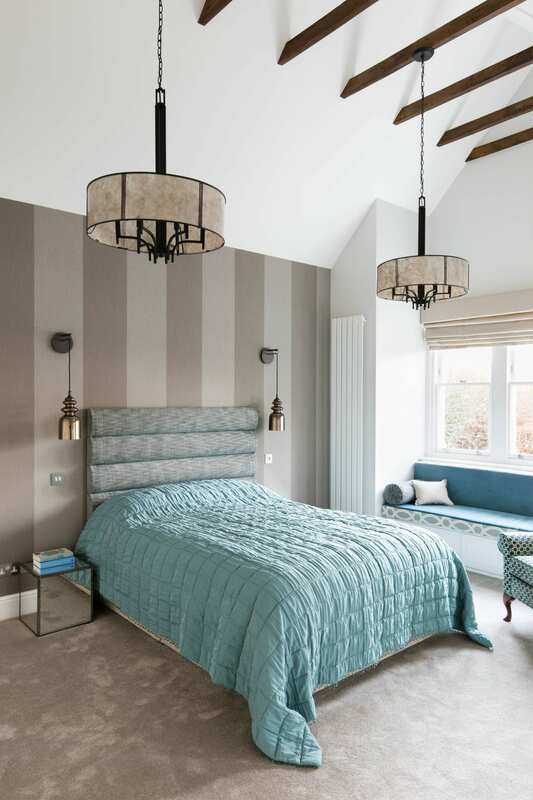 The twin room follows a similar theme to the bedrooms with textured wallpaper, a neutral colour palette and sufficient storage for two people. 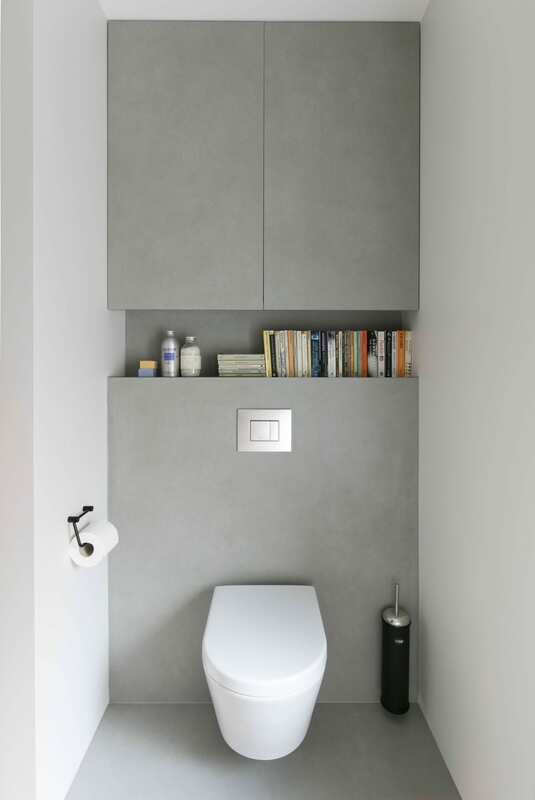 Large format, cut to measure, plain tiles created a canvass for this interesting and individual rest room. We used a porcelain tile called Pietra Di Osso from Neolith. 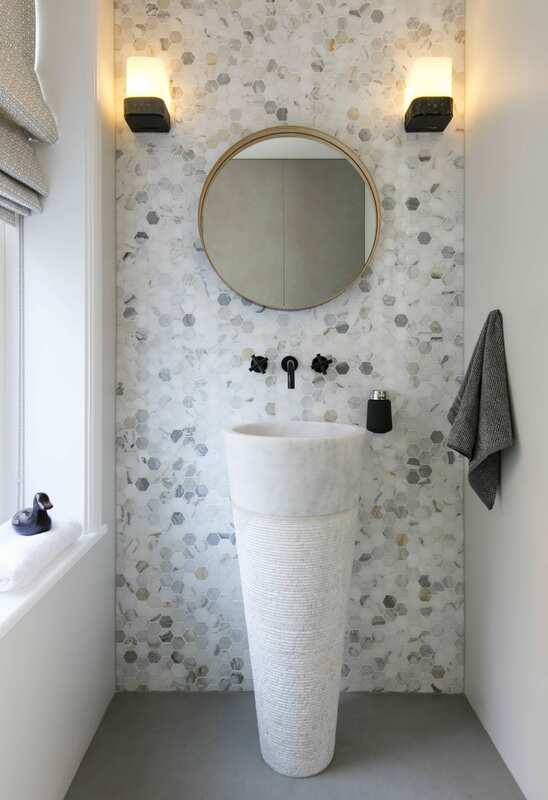 Hexagon, mosaic, marble tiles as a feature wall together with a floor standing marble basin added elegance and enhanced the look.